In this crazy world, Jesus is the only person who will never change and who will always be there for our kids. At Calvary Church, our kids programs are designed to engage and educate children of every age, pointing them to Christ. Here, they will experience safe, age-appropriate environments where they learn about Jesus in a creative and relevant way. We would love for you to visit us at Calvary Kids! Our nursery is a safe environment staffed with loving and caring volunteers. Babies enjoy lots of time and attention, while walkers have fun exploring toys and books. We would love to have your little one come and stay with us in the Nursery while you enjoy the church service! Our preschool teaches children that God made them, God loves them, and Jesus wants to be their friend. We emphasize these teachings through Bible lessons and stories designed especially for preschoolers. Your child will be given adequate amounts of time for play, learning, organized activities and snack. At Kids Life, our strategy is simple... Say it BIG and say it OFTEN! Each week is different, as we endeavor to open up the Bible to kids in exciting and engaging ways. Your child will experience the truth of God's Word, have an opportunity to apply it, and even dig deeper if they'd like. We understand every child is different, so we strive to meet them where they are. Kids Life is not just for kids, it's for the entire family! We believe that what happens in the home can be even more important than what happens at church. Therefore, our kids services are meant to be a catalyst to encourage an entire family's walk with Christ. We partner with you by sending home strategic materials that will help keep you in the loop and plugged-in to the lessons that your child is learning at church. When you first arrive, head to one of our Check-In areas (Nursery, Preschool, or Kids Life). There, one of our team members will meet your family, check your child into our secure system, and assist them into their room. After service, you will return to your child’s room and show your matching security tag in order for your child to be released back to you. In the event that we need to contact you during service, a text message will be sent to your cell phone. If a text message alert is not successful, your child's unique code will appear on the screens in the sanctuary. At that time, we ask that you exit promptly and look for a team member who will direct you to your child’s room. 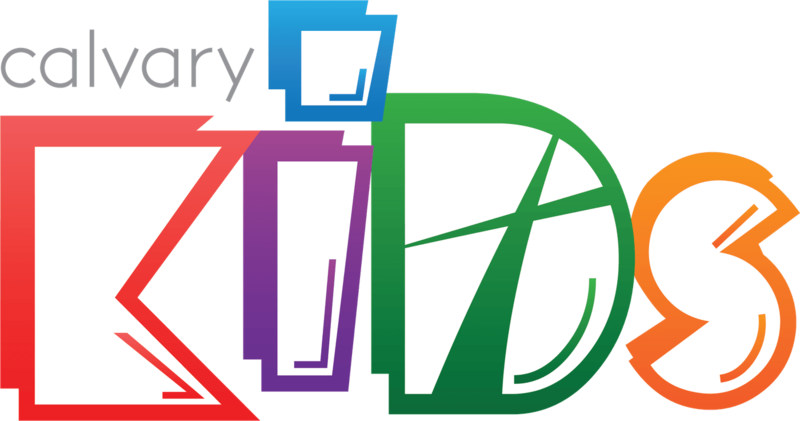 Complete the form below if you would like to pre-register your child for Calvary Kids. This will help save time when you arrive, as their information will already be entered into our system. NOTE: We value your privacy and will never share your information. If you have further questions about Calvary Kids, simply click the button below to get in touch with us. Explore the various ministries of our church. Check out our full church calendar or find a special event. Saved, healed, empowered and launched into their calling.